Baden-Powell took the first steps in training Scouting’s adult leaders by organizing a series of lectures. 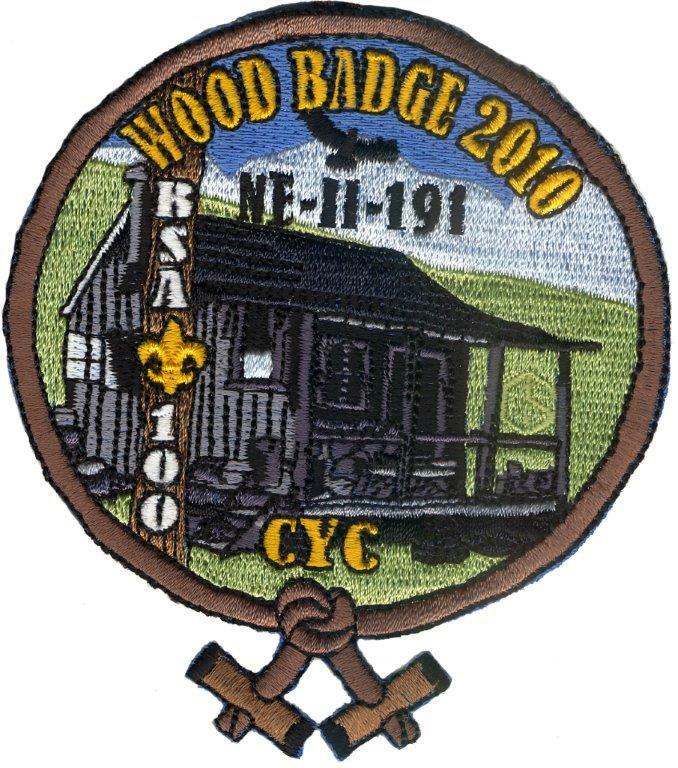 The first Wood Badge training was held in 1919 at Gilwell Park, near London. 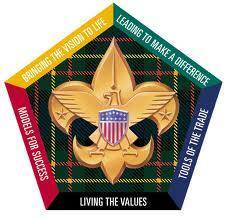 Since then, Wood Badge has continued to evolve to meet Scouting’s needs. 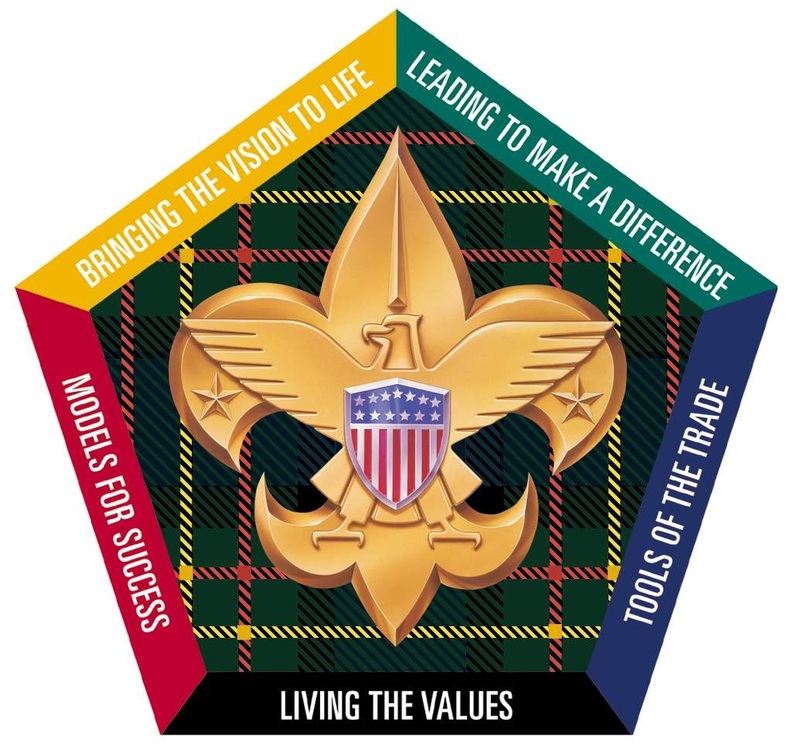 Wood Badge focuses on preparing adults to deliver the mission of Scouting. Many Scouters consider Wood Badge to be one of the highlights of their Scouting careers. 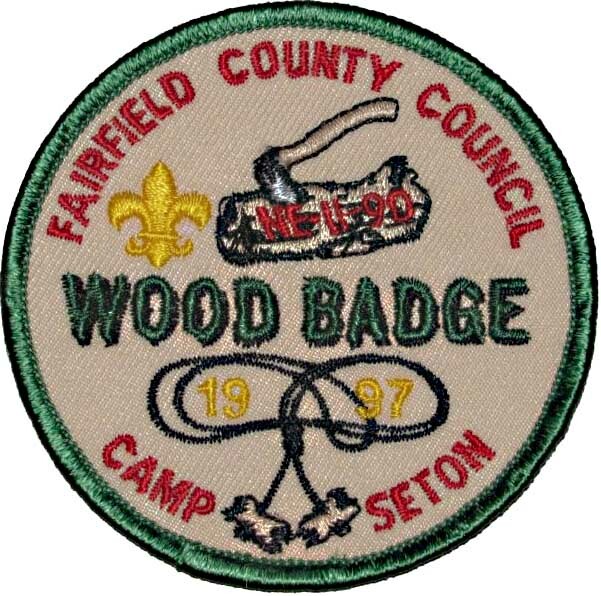 Wood Badge has served as a source of training and inspiration to thousands of Scout leaders. In return, Wood Badge participants have positively influenced the lives of millions of America’s youth. We’ve developed a series of FAQs (frequently asked questions). Please look through them first. 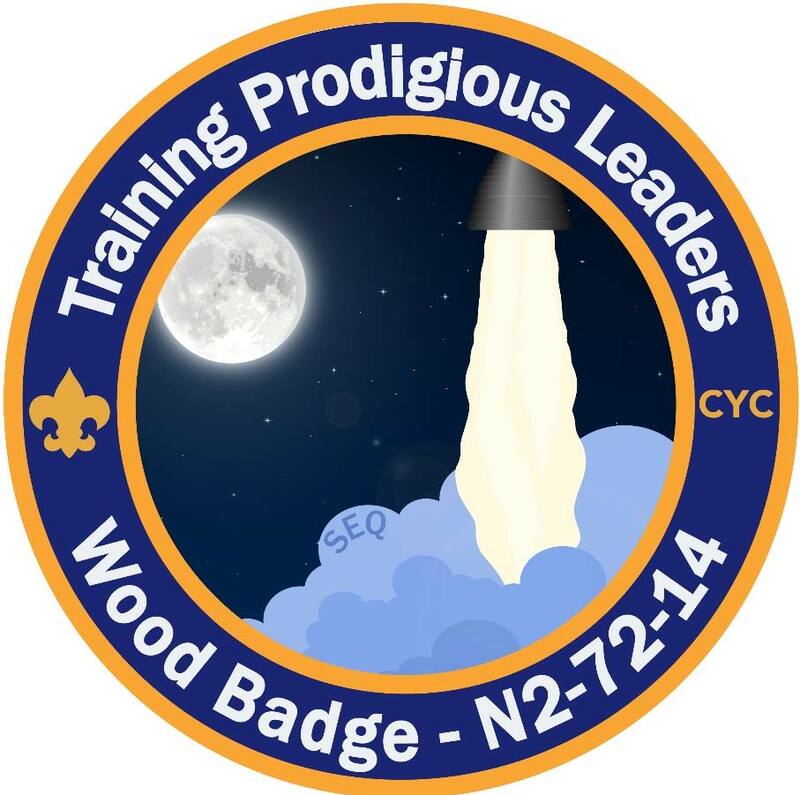 Wood Badge will teach you about leadership techniques in a “living”, hands-on environment, and you will be able to apply all you learn to any Scouting role that you currently have or may have in the future. It will also be very useful in your personal and business life. 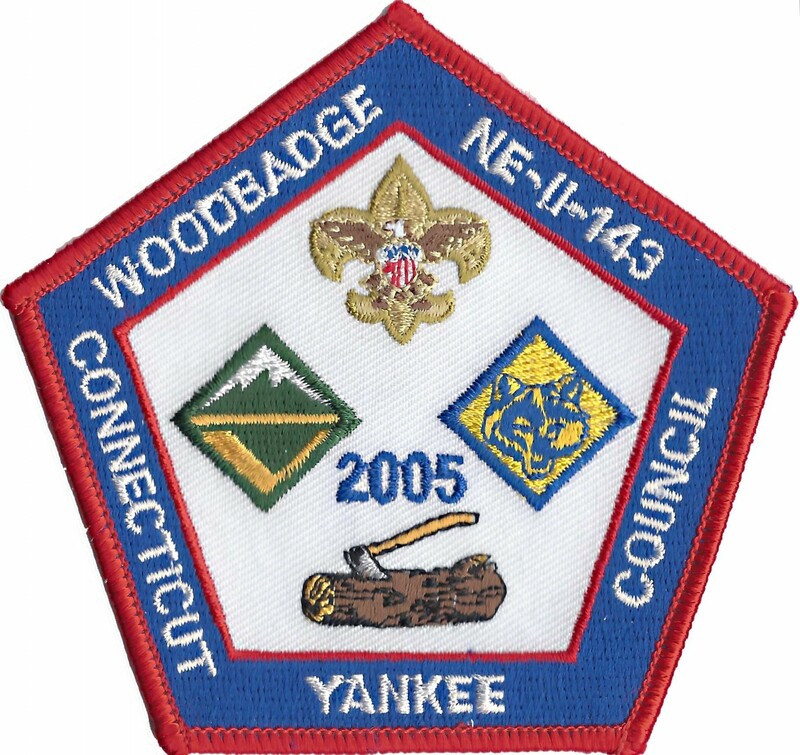 Since these skills can be practiced in a variety of situations, Wood Badge is beneficial for all adults involved in Scouting, including Cub Scouting, Scouts BSA, Venturing, Exploring, Commissioner Service, as well as on District and Council committees. You will develop a “Ticket”, which is a written agreement outlining how you will apply your newly learned skills as you continue your involvement in Scouting. Development of your Ticket is an exercise in goal-setting and includes creating a personal vision and mission statement and outlining your individual steps to personal success. You will work with a member of the Wood Badge course staff who will assist you in the development of your Ticket and will be available to you until you complete your Ticket goals. After participating in all three days of each weekend, you will have completed the “practical” phase of Wood Badge training. 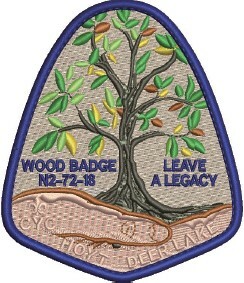 During these two weekends, and the interim time between them, you will create your own set of personal goals – your Wood Badge Ticket – as mentioned above. If you have any concerns about your ability to get around camp (bad knee, bad back, bad ankle – you get the point), please let us know. We will do everything within our power to make camp fully accessible to you. If you have any other health concerns (CPAP, special dietary concerns, etc), please let us know. Again, we will try our very best to accommodate you. Respectfully, you do not know what your Ticket will be until you attend the course. You will be guided to write a meaningful, effective Ticket which is a major element of the Wood Badge course because it will be greatly affected by what you hear, learn and experience while you are attending the two weekends. Depending on what you plan to do as a result of what you learn, you may need to coordinate your plans with other Scouters, whether they are in your units or on committees that you serve. 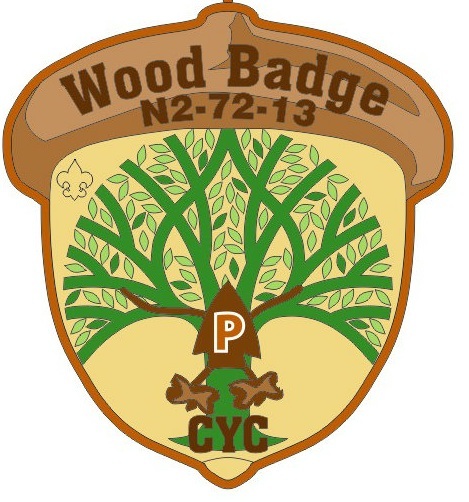 Until your Wood Badge Ticket is written (during the course) and agreed to with your Troop Guide, you can take no credit for work “towards your Ticket” prior to the practical phase being completed. Please note: there is plenty of inaccurate information on the internet (does that surprise anyone??) regarding the Wood Badge Ticket. Official Ticket guidelines do change from year to year, to be more responsive to the needs of Scouting. Also, some Councils have local “traditions” regarding Tickets that may be inappropriate. 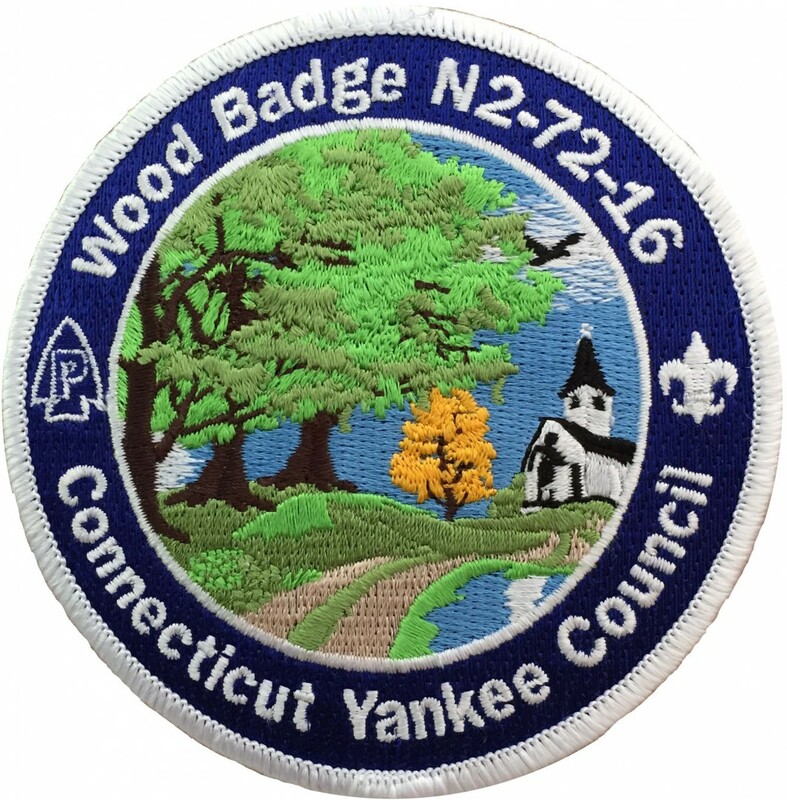 Here is some information for Participants after the completion of the Wood Badge Course. What Happens When Life Gets in the Way of Scouting? First, remember that you can change one or more of your ticket goals if necessary. The most common reason for that is that your Scouting position changes. Additionally, sometimes a ticket goal involves more time than it originally seemed, or the goal is no longer necessary, or final approval to complete the goal is taking too long. No matter the cause, if you need or want to change your ticket item(s), contact your Troop Guide ASAP. Your Troop Guide will ask you to submit a revised write-up, complete with “who, what, where…” as well as SMART. Please remember: a change in one or more ticket goals does not change the completion time (a maximum of 18 months after completion of the last day of the Wood Badge Course). Can I get an extension to the 18-month period? The Course Director has limited authority to grant an extension to the original 18-month period, for extenuating circumstances. Contact your Troop Guide ASAP if an extension is required. What if you can’t communicate with your Troop Guide? What if he or she fell off the face of the earth? Sometimes that happens, and it’s not a problem. Well, not for you, though things may be awkward for the Troop Guide who fell off the face of the earth. Anyway, contact your Course Director, who will assign you another Troop Guide. If you are unable to reach your Course Director, contact the Council Training Chair. If you move out of the geographic area of the Council before competing your Ticket, your Course Director will work with the Training Chair of your new council to make sure you can still complete your Ticket and receive your beads. Work with your Troop Guide. 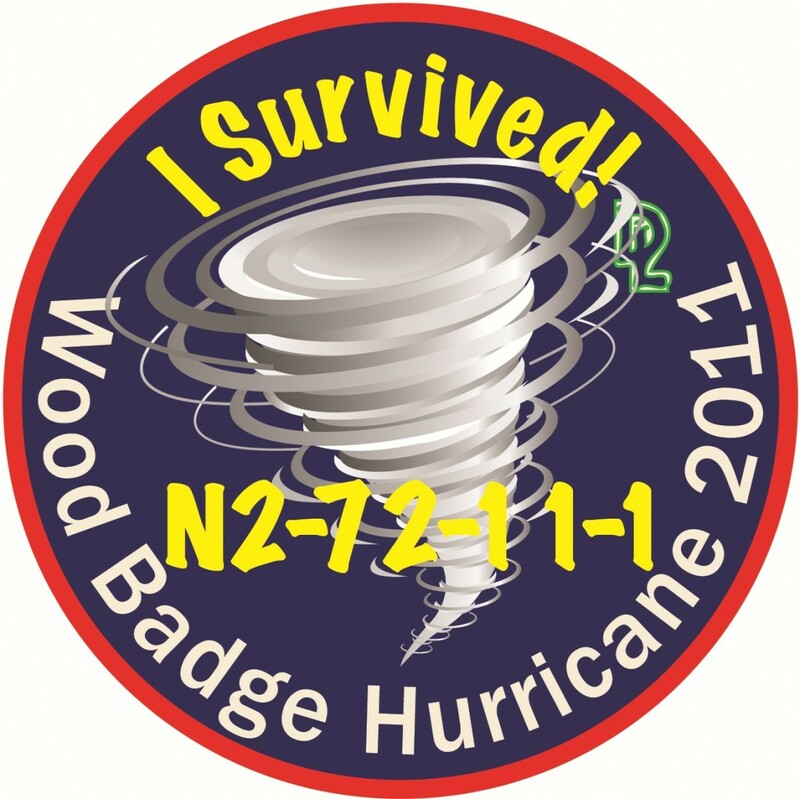 When you have determined that you are finished working your Wood Badge Ticket, contact your Troop Guide. Your Troop Guide will talk with you a bit about your Ticket. When you and your Troop Guide agree that you’re done, contact your Course Director to arrange for a Beading Ceremony. It is up to you to arrange a time and place, and to let the Course Director know (well in advance, please). The presentation can be most anything but do not request the Course Director to just mail the beads to you. The ceremony can be at any suitable event – a Pack meeting, Troop Court of Honor, Camporee, District or Council Training Event, District Roundtable, or even a simple campfire. It is up to you to invite family, friends, other members of your Wood Badge Patrol, etc. Your Course Director will also notify other staff members of your ceremony, who will attend as they are able. You may wear your beads with the Gilwell neckerchief (dove-grey with MacLaren tartan patch) and Turk’s head knot woggle, or with your troop/district/OA neckerchief and slide, or you may wear your beads with no neckerchief. For formal events, you would typically wear your beads with the Gilwell neckerchief and woggle. The rules for wearing the Gilwell neckerchief and woggle are more limited. They stay together. You don’t wear the Gilwell neckerchief with a different slide, and you don’t wear the woggle with a different neckerchief. And if you wear them, you must wear your beads, too. 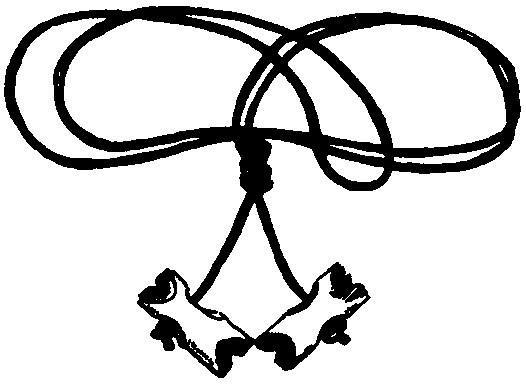 Wood Badge beads are always worn on a leather thong which is tied in an overhand knot. When worn with a neckerchief, the thong is placed under the shirt collar, followed by the neckerchief; thus the thong is worn under the neckerchief. The beads are then brought in front of the neckerchief and displayed below the woggle. Some Scouters thread the thong through the woggle before placing around the neck. If you cross the beads under the woggle and pull the ends of the neckerchief through loop formed, then the beads will appear immediately under the woggle without shifting. 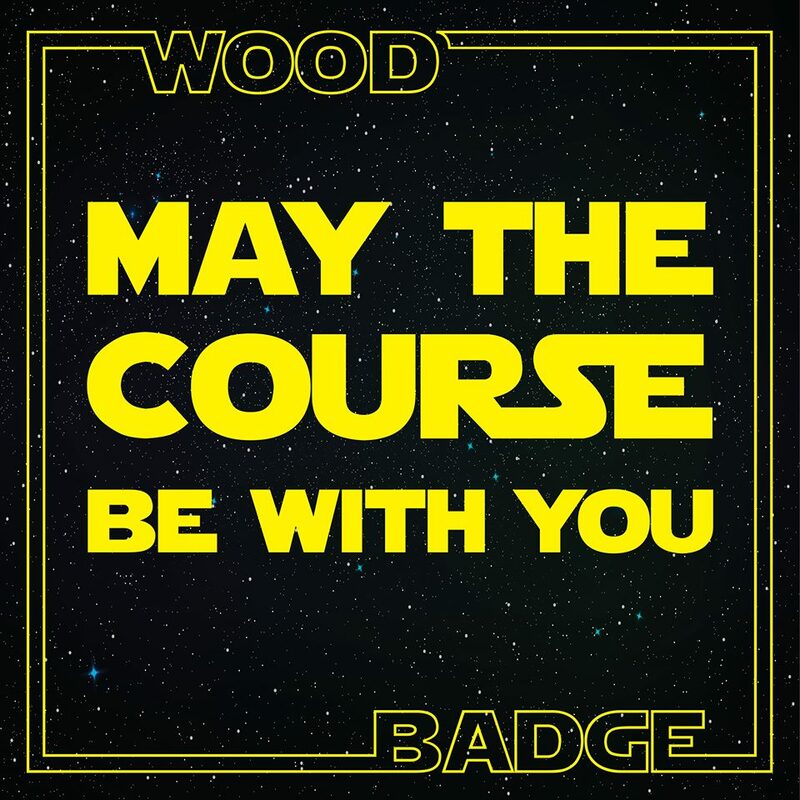 Wood Badge is (are) TWO words. Both words are capitalized. The Gilwell Song is always sung with gusto if not much harmony, and always in the same order by patrol, with Beavers first (then Bob White – Eagle – Fox – Owl – Bear – Buffalo – Antelope [and Staff]). Besides the typical eight Wood Badge patrols, you may sometimes have Wood Badgers who were Wolves, Ravens, Explorers, or others. The verse for Explorer Wood Badge is quite different – see your songbook. Typically members of a patrol will link arms (around shoulders) while singing their verse, then join the other patrols, so that at the end everyone is together. We do not change the song, and we don’t dance nor clap nor stamp our feet. That’s tempting sometimes, but we don’t. If there are people present who have not gone to Wood Badge, then the senior patrol leader or other appropriate Scouter might invite them to stand and sing with a friend or family member, or to be inside the circle. “The Gilwell scarf does not entitle you to consider yourself as a thing apart. 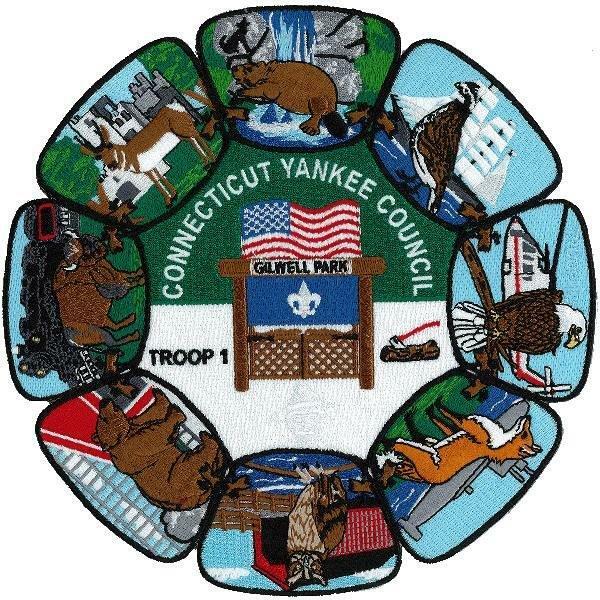 Your Troop or District must as much as ever command your first allegiance.” ~ Baden-Powell, in the Headquarters Gazette of October 1923. Wood Badge is for the rest of your life. Work your Ticket right away, of course. Try to finish within six months or maybe nine. You are allowed to take up to 18 months, but try not to take that long. You know how Scouts have to get Eagle by age 18? Well, you have to finish your Ticket by 18 (months). Contact your Troop Guide if you have problems, need to change a Ticket goal, or just want to chat. The lessons you learn at Wood Badge never end. They are with you for the rest of your life. His father died when B.-P. was only three years old and the family were left none too well off. B.-P. was given his first lessons by his mother and later attended Rose Hill School, Tunbridge Wells, where he gained a scholarship for admittance to Charterhouse School. Charterhouse School was in London when B.-P. first attended but whilst he was there it moved to Godalming, Surrey, a factor which had great influence in his later life. He was always eager to learn new skills. He played the piano and fiddle. He acted – and acted the clown too at times. He practiced bricklaying, and it was whilst a scholar at Charter house that he began to exploit his interest in the arts of Scouting and woodcraft. ‘French – could do well but has become very lazy, often sleeps in school’. Nevertheless, he gained second place for cavalry in open examination for the Army and was commissioned straight into the 13th Hussars, bypassing the officer training establishments, and subsequently became their Honorary Colonel for 30 years. His Army career was outstanding from the start. With the 13th Hussars he served in India, Afghanistan and South Africa and was mentioned in dispatches for his work in Zululand. There followed three years service in Malta as Assistant Military Secretary and then he went to Ashanti, Africa, to lead the campaign against Prempeh. Success led to his being promoted to command the 5th Dragoon Guards in 1897, at the age of 40. It was to the 5th Dragoon Guards that B.-P. gave his first training in Scouting and awarded soldiers reaching certain standards a badge based on the north point of the compass. 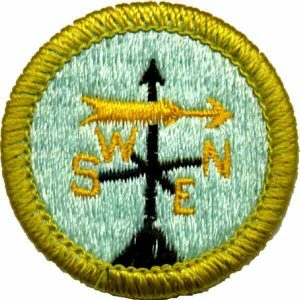 Today’s Scout Membership badge is very similar. In 1899 came Mafeking, the most notable episode in his outstanding military career, by which he became a Major-General at the age of only 43. B.-P. became famous and the hero of every boy, although he always minimized his own part and the value of his inspiring leadership. By using boys for responsible jobs during the siege, he learned the good response youth give to a challenge. During the 217 day siege, B.-P.’s book Aids to Scouting was published and reached a far wider readership than the military one for which it was intended. Following Mafeking, B.-P. was given the task of organizing the South African Constabulary and it was not until 1903 that he returned to England as Inspector General of Cavalry and found that his book, Aids to Scouting was being used by youth leaders and teachers all over the country. He spoke at meetings and rallies and whilst at a Boys’ Brigade gathering he was asked by its Founder, Sir William Smith, to work out a scheme for giving greater variety in the training of boys in good citizenship. B.P. set to work rewriting Aids to Scouting, this time for a younger readership. In 1907 he held an experimental camp on Brownsea Island, Poole, Dorset, to try out his ideas. He brought together 22 boys, some from public schools and some from working class homes, and put them into camp under his leadership. The whole world now knows the results of that camp. 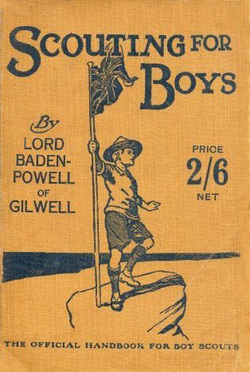 Scouting for Boys was published in 1908 in six fortnightly parts at 4d a copy. Sales of the book were tremendous. Boys formed themselves into Scout Patrols to try out ideas. What had been intended as a training aid for existing organizations became the handbook of a new and, ultimately worldwide Movement. B.-P.’s great understanding of boys obviously touched something fundamental in the youth of this and other countries. ‘Scouting for Boys’ has since been translated into many different languages and dialects. Without fuss, without ceremony and completely spontaneously, boys began to form Scout Troops all over the country. In September 1908, B.P. had set up an office to deal with the large number of enquiries which were pouring in concerning the Movement. As Inspector-General of Cavalry, B.P. considered that he had reached the pinnacle of his career. The baton of Field Marshal was within his grasp but he retired from the Army in 1910 at the age of 53, on the advice of His Majesty King Edward VII, who suggested that he would do more valuable service for his country within the Boy Scout Movement (now Scout Movement) than anyone could hope to do as a soldier! At the 3rd World Jamboree, held in Arrowe Park, Birkenhead, to celebrate the 21st Anniversary of the publication of Scouting for Boys, the Prince of Wales announced that B.P. had been created a Peer. He took the title of Lord Baden-Powell of Gilwell – Gilwell Park being the International Training Centre for Scout Leaders. Scouting was not B.P.’s only interest, for excelled at pig-sticking and fishing, and favored polo and big game hunting. He was also a very good black & white and watercolor artist and took an interest in photography and sculpture. In 1907, he exhibited a bust of John Smith, the colonial pioneer, at the Royal Academy. B.P. wrote no less than 32 books, the earning from which helped to pay for his Scouting travels. As with all his successors, he received no salary as Chief Scout. He received honorary degrees from Edinburgh, Toronto, Montreal, Oxford, Liverpool and Cambridge Universities. He also received Freedoms of the cities of London, Guildford, Newcastle-on-Tyne, Bangor, Cardiff, Hawick, Kingston-on- Thames, Poole, Blandford, Canterbury and Pontefract, and of other cities in various parts of the world. In addition, 28 Foreign Orders and decorations and 19 Foreign Scout Awards were bestowed upon him. Every minute of B.-P.’s life was ‘sixty seconds worth of distance run’. Each new adventure was the subject for a book. Every happy incident or thought, every fine landscape might be the subject for a sketch. In 1938, suffering from ill-health, B.-P. returned to Africa, which had meant so much in his life, to live in semi-retirement in Nyeri, Kenya. Even here he found it difficult to curb his energies – he still produced many books and sketches. On January 8, 1941, Baden-Powell died. He was 83 years of age. He is buried in a simple grave at Nyeri within sight of Mount Kenya. 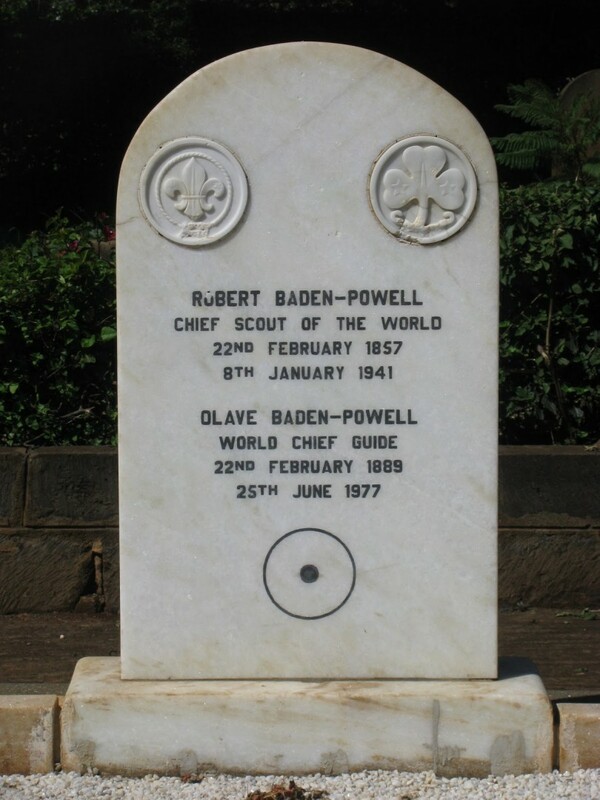 On his headstone are the words, ‘Robert Baden-Powell, Chief Scout of the World’ surmounted by the Boy Scout and Girl Guide Badges. His memory remains for all time in the hearts of millions of men and women, boys and girls. Dear Scouts – if you have ever seen the play ‘Peter Pan’ you will remember how the pirate chief was always making his dying speech because he was afraid that possible, when the time came for him to die, he might not have time to get it off his chest. It is much the same with me, and so, although I am not at this moment dying, I shall be doing so one of these days and I want to send you a parting word of goodbye.Remember, it is the last time you will ever hear from me, so think it over. I have had a most happy life and I want each one of you to have a happy life too. 1941 B-P’s Outlook. Selections from The Scouter. The World Chief Guide – Lady Baden-Powell, by Eileen K. Wade, 1972. Mowgli’s Sons : Kipling and Baden-Powell’s Scouts, by Hugh Brogan, 1987. 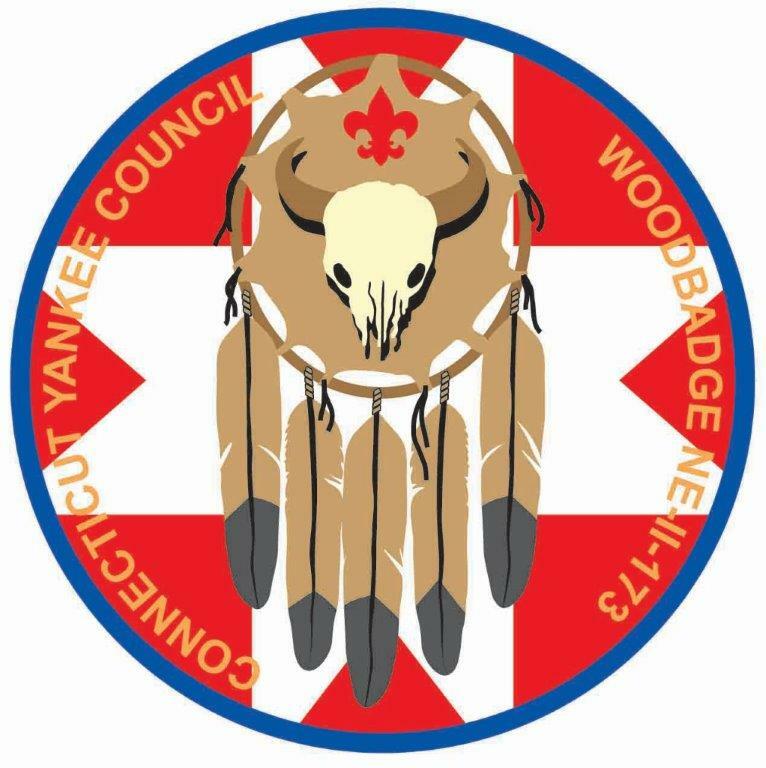 Below is a listing of KNOWN Wood Badge Courses that relate to our Council, either by location or Course Director. This list is incomplete. Any help in filling in the blanks, or identifying other courses and Course Directors would be very welcome. 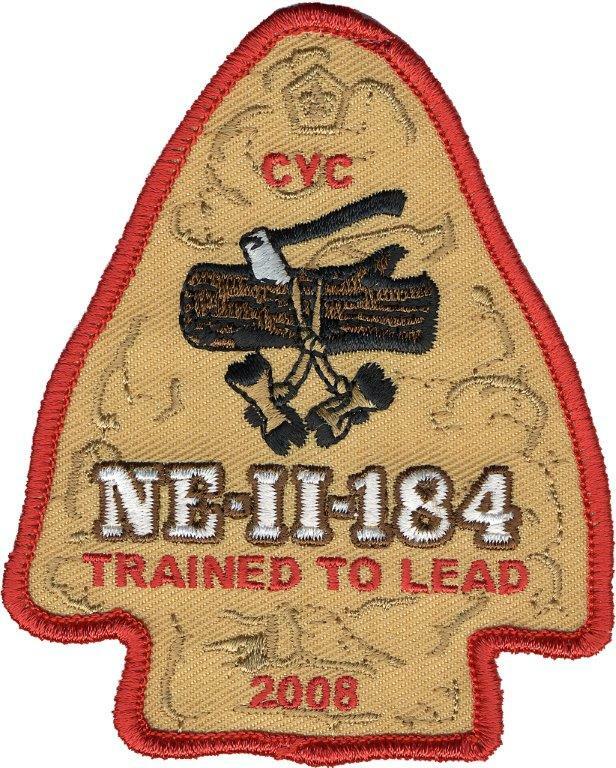 Also included is a listing of NYLT Courses where the Scoutmaster was recognized with a fourth bead. 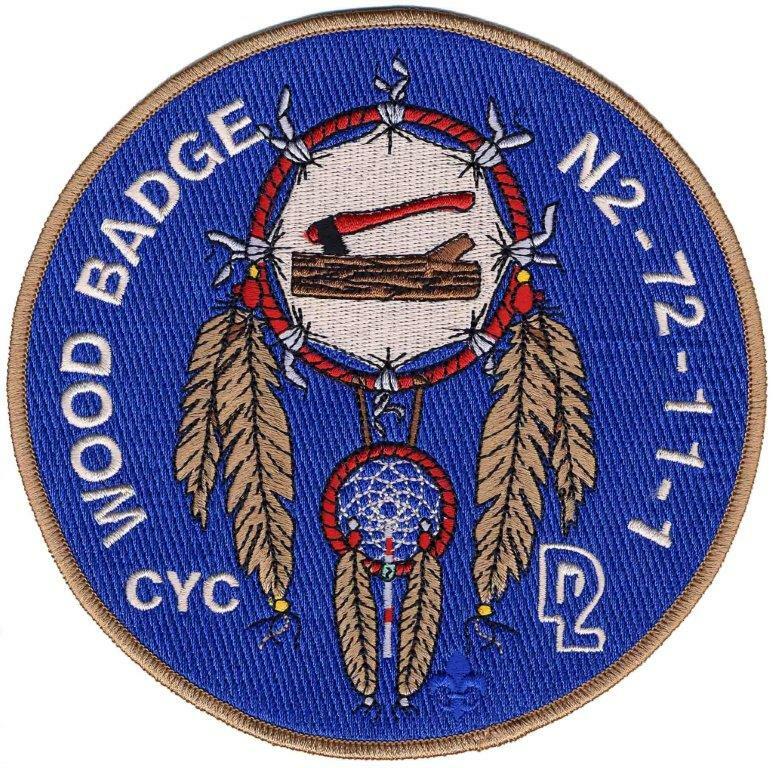 Kathy Dilks N2 – 72 – 19 – 1Y 2019 Deer Lake Scout Res. Jeff Guzauckas N2 – 72 – 16 – 1Y 2016 Deer Lake Scout Res. Caroline Griffin N2 – 72 – 14 – 1Y 2014 Deer Lake Scout Res. Wade Anderson N2 – 72 – 13 – 1Y 2013 Deer Lake Scout Res. 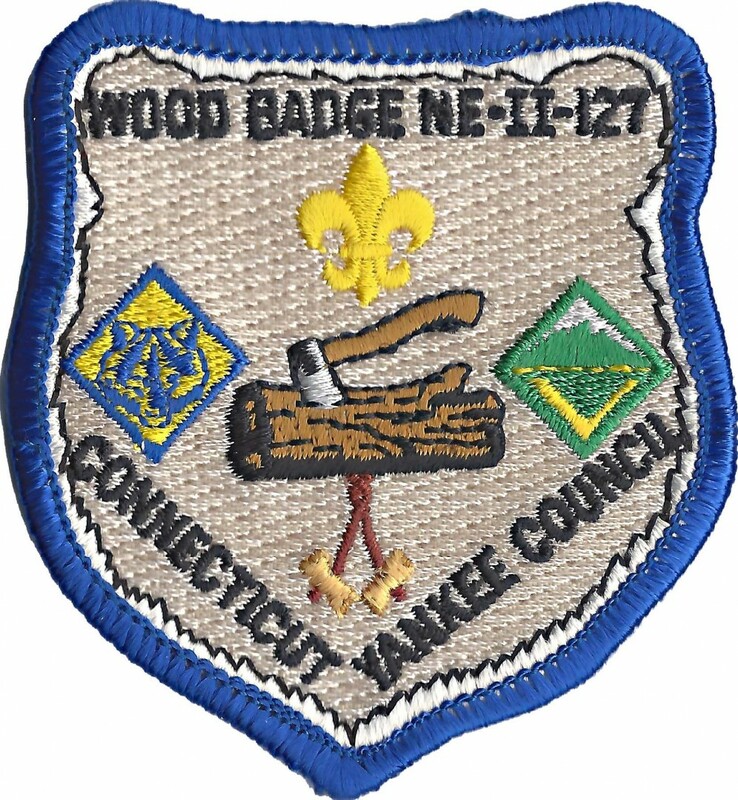 John Neary N2 – 72 – 12 2012 Deer Lake Scout Res. Dave Elkodsi N2 – 72 – 11 – 1Y 2011 Deer Lake Scout Res. 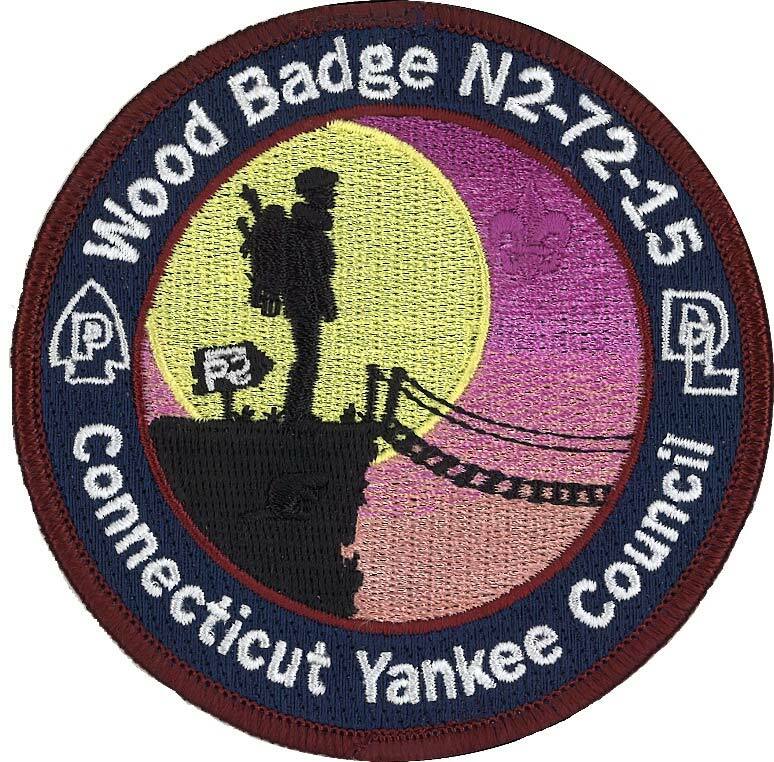 Jay Lubin N2 – 72 – 11 2011 Deer Lake Scout Res. Mike Abrahamson NE-II-72-09-NYLT1 2009 Deer Lake Scout Res. Nick Cianciola NE – I – 167 1993 Deer Lake Scout Res. Peter Newcomb NE – I – 147 1990 Deer Lake Scout Res. Betty Hilker NE – CS – 32 1990 Heritage Scout Res. Claire Dibble NE – CS – 22 1988 Heritage Scout Res. Don Rowland NE – I – 129 1987 Deer Lake Scout Res. Mort Johnson NE – I – 101 1983 Deer Lake Scout Res. Dr. Al Adler, PhD NE – I – 87 1981 Deer Lake Scout Res. 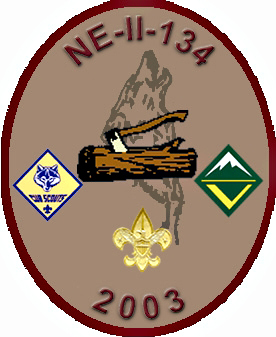 C. Robert Small NE – I – 71 1979 Chesterfield Scout Res. Tom Dolan NE – I – 70 1979 Deer Lake Scout Res. ??? ???? 1962 Deer Lake Scout Res. 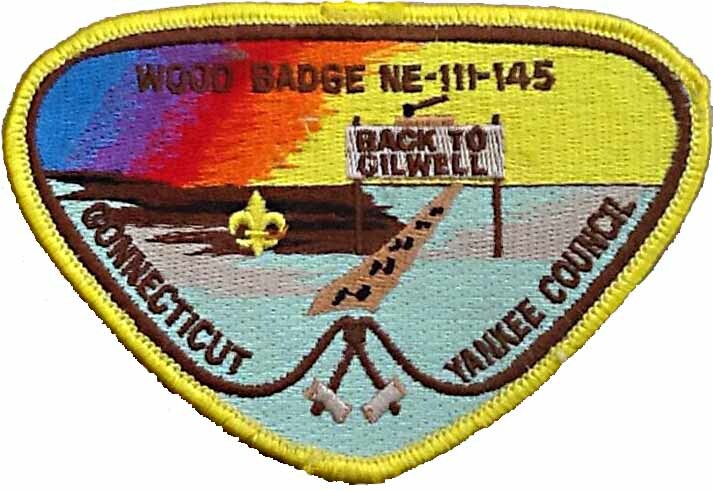 Wood Badge has a long and storied history since the first course was held at Gilwell Park in July 1919. Yet, it took until 1936 for Wood Badge to first come to the United States. A Rover Scout Wood Badge course was held at Schiff Scout Reservation May 12-20, 1936, followed by a Scout Wood Badge Course between May 24-June 3, 1936. Both courses were run by the Camp Chief of Gilwell Park, John Skinner Wilson. William “Green Bar Bill” Hillcourt, assistant director of Boys’ Life magazine attended the Rover Scout course and served as the Senior Patrol Leader (“dog’s-body” in British terms) for the Boy Scout Wood Badge course. While these two experimental courses were a success, World War II intervened, and Wood Badge did not return to the US until 1948, after the retirement of the first Chief Scout Executive, James E. West. 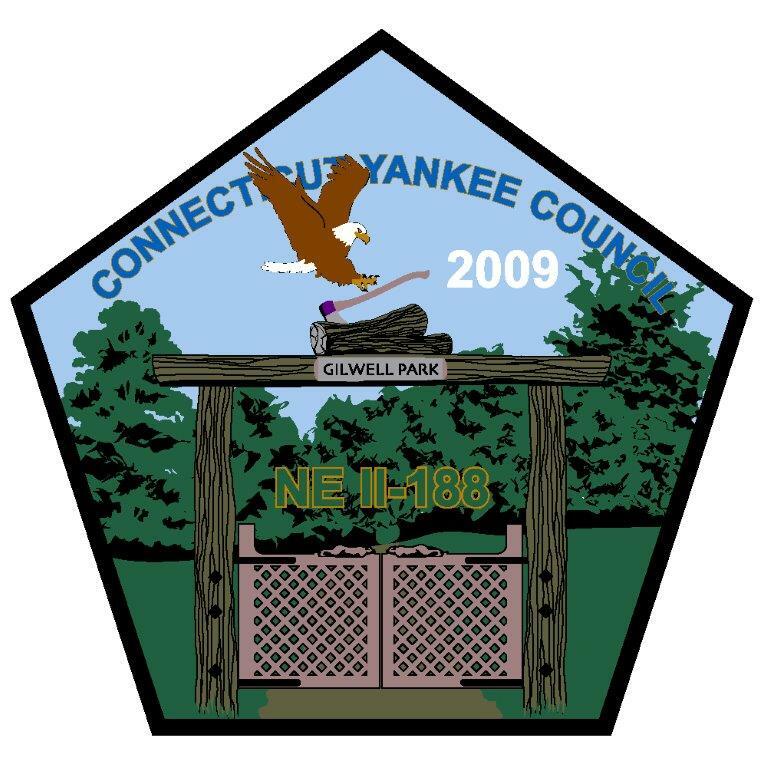 Courses were originally designed to run at Schiff Scout Reservation and Philmont. Under this US version of Wood Badge, the Patrol Method was heavily stressed. The patrol names picked were birds and animals (Critters) found in every state in the Union: Eagle, Bob White, Fox, and Beaver. The first American Wood Badge course was July 31-August 8, 1948. The course assembled 29 men plus staff from 12 states (Connecticut was not one of the states represented). The Scoutmaster was “Green Bar Bill” Hillcourt. The second course was held at Philmont, October 2-10, 1948. “Green Bar Bill” was once again Scoutmaster, with 35 participants. Between 1948 and 1958, nearly 5,000 men had taken a Wood Badge course. Early courses were conducted exclusively by the National Volunteer Training Service; the first course conducted by a local council was in 1953 in Cincinnati. Week long courses were the rule until 1974, when weekend courses were authorized. Wood Badge was an exclusive male domain until 1976, when women scouters were welcomed into Wood Badge. 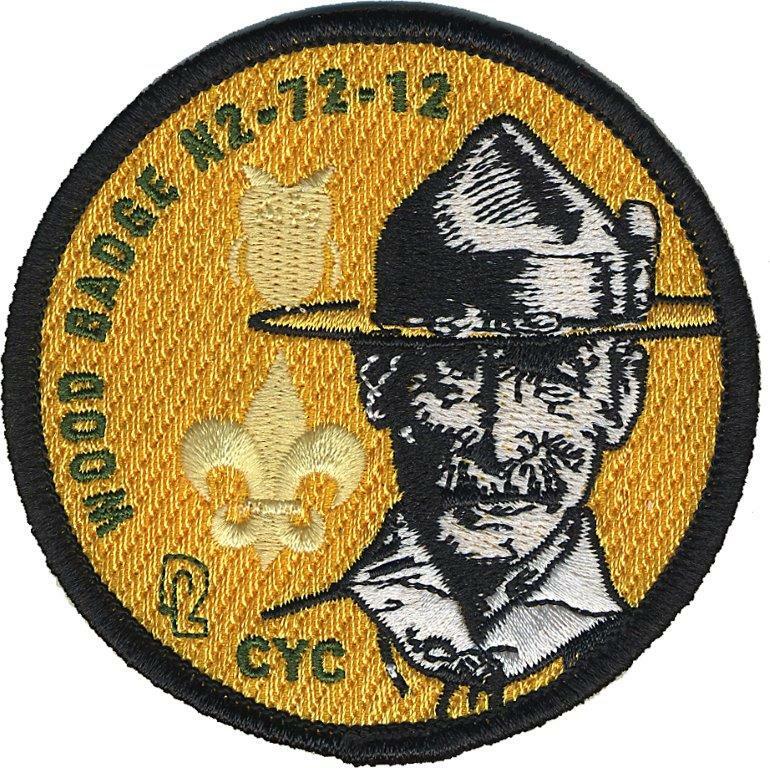 Explorer Wood Badge was first held in 1951; Cub Scout Trainer Wood Badge was first held in 1976. Over the years, there were Walking Wood Badge courses, Rafting Wood Badge courses, and Canoe Wood Badge courses. 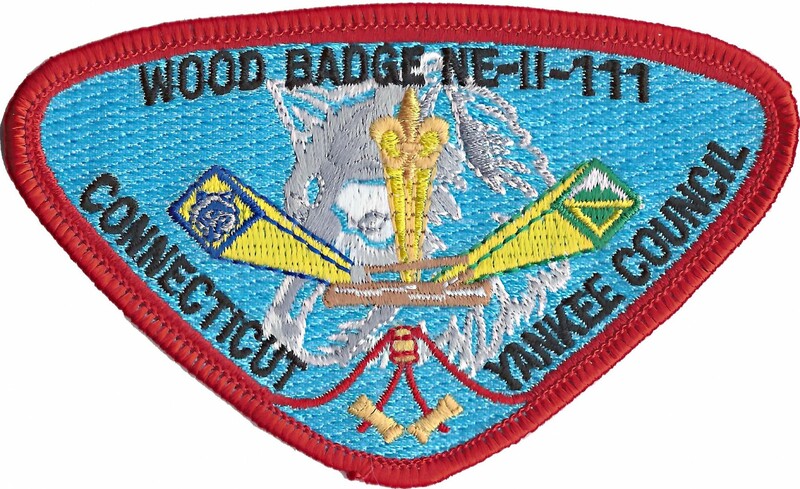 Through 1958, no Wood Badge courses had been held in Connecticut, according to the BSA National Council ^. 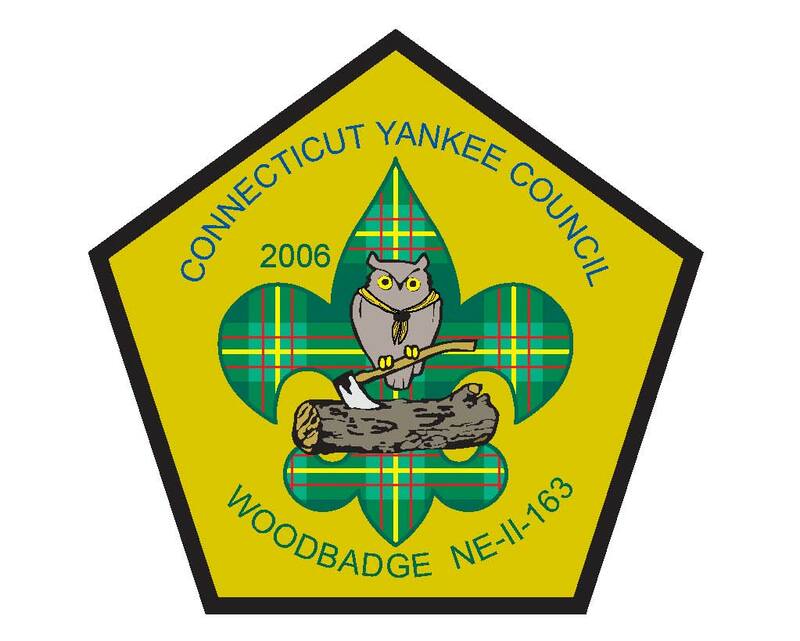 Chief Bogan ^^ made no mention of Wood Badge in his comprehensive book so we assume no Wood Badge courses were held by Quinnipiac Council through 1963. However, the Chief did indicate that in 1952, Mountain Man Training began, stating that Mountain Man was “…patterned after the British Wood Badge training…” The course director appeared to be Assistant Scout Executive Hermon F. Newcomb. Apparently the Mountain Man program continued annually thereafter.